The Apartmentos Doramar is set in the heart of the Costa Del Sol in the popular resort of Benalmadena. The One Bedroom Apartments with self-catering facilities are a comfortable and convenient holiday accommodation for families, couples and solo holidaymakers with something for everyone to be found in the local area. 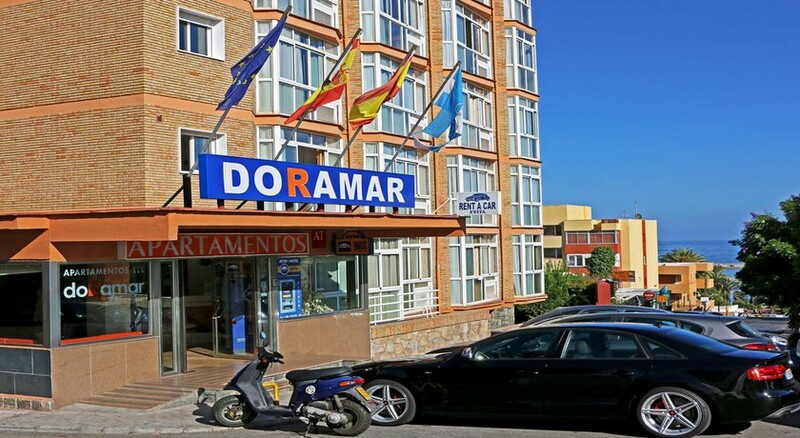 Apartmentos Doramar is just a 6-minute walk from the largest and most popular beach in Benalmadena, where you will also discover a great choice of restaurants, shops and bars. At the Apartmentos Doramar you really can make the most of your holiday in the sun with both a beautiful beach and a vibrant town to explore in close proximity. Perfectly situated in the hub of Benalmadena, the Apartmentos Doramar offers a multitude of nearby amenities and tourist attractions fit for all ages. The Playa Malapesquera beach with stunning sands and shallow waters is a regular winner of the Blue Flag Beach award and its popularity reflects this. The Puerto Marina and shopping center is a 14-minute walk from the resort and offers an abundance of restaurants, shops and bars as well as a sea life aquarium – all amid tranquil settings. At only 1.2 miles away, Selwo Marina is a great day out for all with dolphin and sea lion shows available and much more. Tivoli world is the nearest theme park and is also just 1.2 miles from the Apartmentos Doramar. The closest airport is Malaga airport at a distance of 6 miles. Apartmentos Doramar offers a quantity of comfortable One Bedroom Apartments sleeping up to four persons. In the bedroom you will find twin beds sleeping two and a sofa bed in the living area sleeping a further two guests if required. 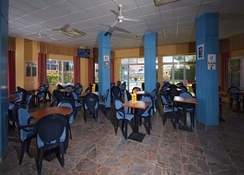 The apartments have all of the expected amenities such as a flat screen TV with satellite channels, telephone, hair dryer, safe, air conditioning, sofa, dining table, private bathroom and complete kitchenette. Cots are available for hire. Each of the apartments at Apartmentos Doramar is equipped with a kitchenette with refrigerator, microwave and hob for those wishing to self-cater, however if you don’t feel like cooking you can enjoy the convenience of the on-site restaurant for meal times. There’s a bar serving both alcoholic and non-alcoholic beverages as well as a shop for essential drinks, snacks and ice lollies to keep the kids happy! The Apartmentos Doramar boasts a good sized swimming pool surrounded by a sun terrace with sun loungers for guests to recline during the hot sunny days. You can challenge your partner to a game of pool on the pool table or hire bikes for a cycle around the local area.